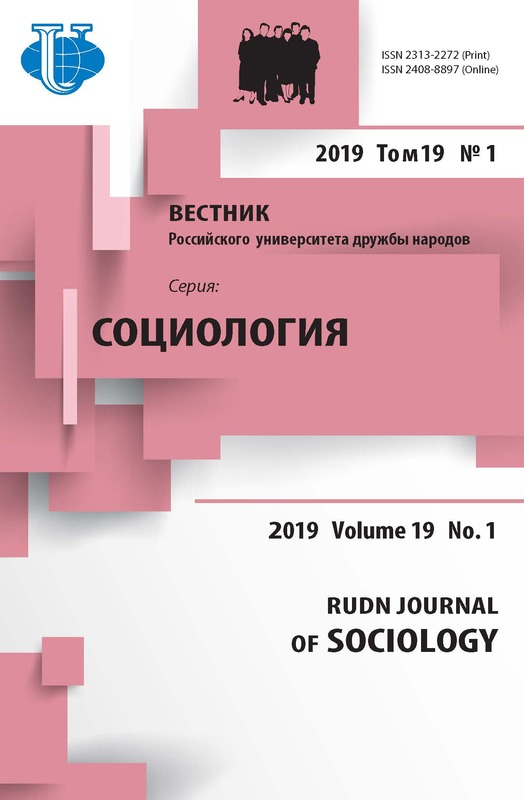 Home > Archives > No 1 (2011) >	The Problem of Modernization and Development of Russian Civil Society: the Dialectics of "We" versus "Me"
The article provides insight into the issue of modernization and development of civil society through the lens of national character. The axis of the publication is the following argument: the economic system and the appropriate type of society are constructed by people in accordance with geographical and natural conditions. As the "construction" process advances, the fundamental social values, norms as well as the corresponding type of personality embodying national character take shape according to the prominent activity patterns. It is possible to change national character altering the norms which regulate human behaviour in economic and socio-political spheres. Thus, the Russian non-market-oriented national character has emerged ("We-civilization") as opposed to the Western market-based one ("Me-civilization"). However, things are gradually changing. 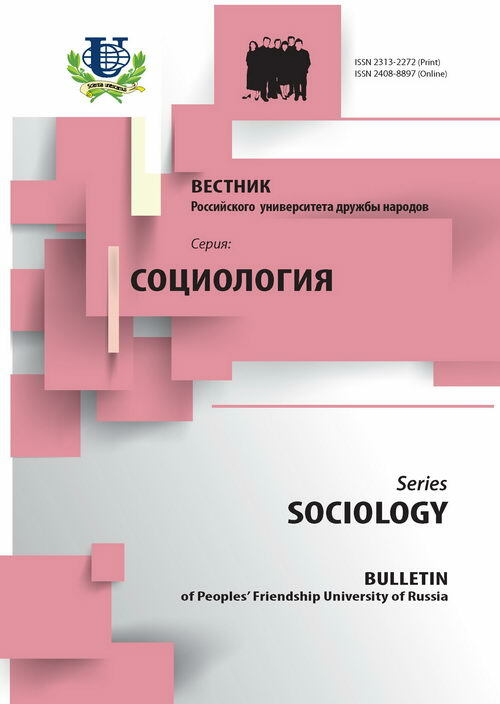 modernization, civil society, social character, social norms and values. Attali Zh. Mirovoi ekonomicheskii krizis... A chto dal'she? - SPb. : Piter, 2009. Boronoev A.O., Smirnov P.I. Rossiya i russkie: Kharakter naroda i sud'by strany. - SPb. : Lenizdat, 1992. Inozemtsev V. Pochemu tak rabotaem? // Literaturnaya gazeta. - 2010. - 8-14 sentyabrya. Irkhin Yu.V. Rol' setevykh i tenevykh organizatsii transnatsional'nykh elit v mirovoi politike // Sotsial'no-gumanitarnye znaniya. - 2010. - № 3. Kara-Murza S.G. Sotsializm i kommunizm v Rossii: istoriya i perspektivy // Sotsial'no-gumanitarnye znaniya. - 2010. - № 3. Kochetkov V.V., Kochetkova L.N. K voprosu o genezise postindustrial'nogo obshchestva // Voprosy filosofii. - 2010. - № 2. Koen Dzh., Arato E. Grazhdanskoe obshchestvo i politicheskaya teoriya / Per. s angl. ; obshch. red. I.I. Myurberg. - M.: Ves' Mir, 2003. Lapaeva V.V. Rossiiskaya filosofiya prava v kontekste zapadnoi filosofsko-pravovoi traditsii // Voprosy filosofii. - 2010. - № 5. Nersesyants V.S. Filosofiya prava: libertarno-yuridicheskaya kontseptsiya // Filosofiya i istoriya filosofii. Aktual'nye problemy. K 90-letiyu T.I. Oizermana. - M., 2004. Toffler E. Tret'ya volna / Per. s angl. - M.: AST: AST-Moskva, 2010.